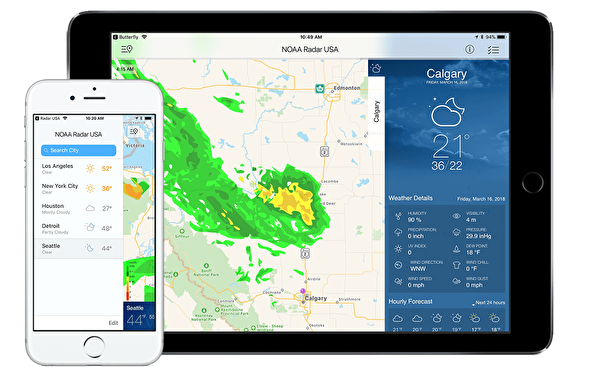 Weather Radar is the complete weather app with extensive forecast features. 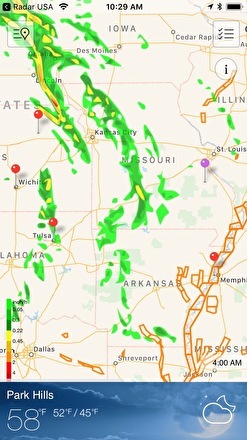 By using Weather Radar you will be sure that you have an app easy to understand and with a modern interface. Use Weather Radar to see precipitation developing in the world, projected right on top of the Maps and updating every 15 minutes! Furthermore, Weather Radar uses advanced forecasting techniques to predict the exact rain and storm behavior for the next 90 minutes. With Weather Radar you can see the current conditions and weather forecast of any location in the US, as well as any location in the world. 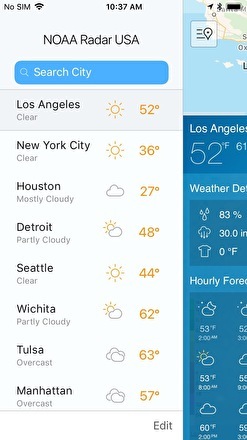 You can save a preset of locations to easily browse the weather in your favorite locations. Just search for the city, and add it to your list. Weather Radar displays all hurricanes and NOAA Weather Warnings right on the Maps. 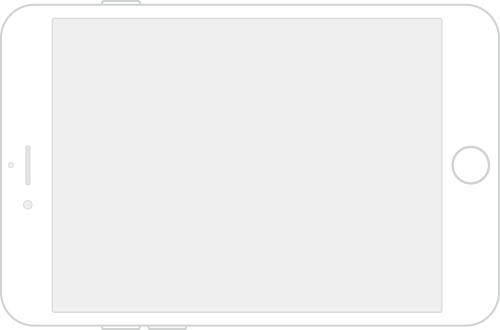 By tapping on a hurricane symbol or a weather warning you are able to see all available details about it. 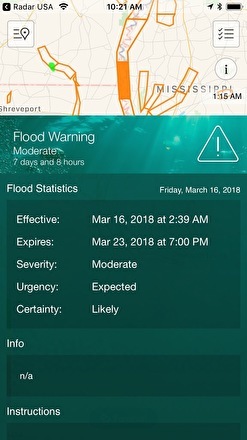 Available in the US for flooding and extreme weather. Hurricanes and tropical storms are available for the whole world. 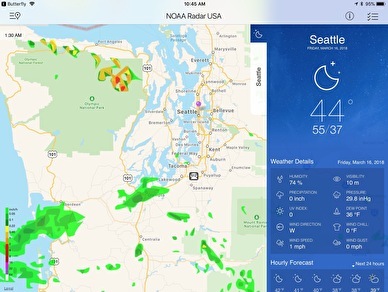 Use Weather Radar for the complete weather forecast for all of the world. Of every location you desire, you can see the current conditions, like temperature, wind, humidity, pressure etc as well as a detailed hourly and 10-day forecast. You can see the rain developing, and get detailed information about flood and hurricane warnings. This weather app is an absolute must-have for any user in the world.